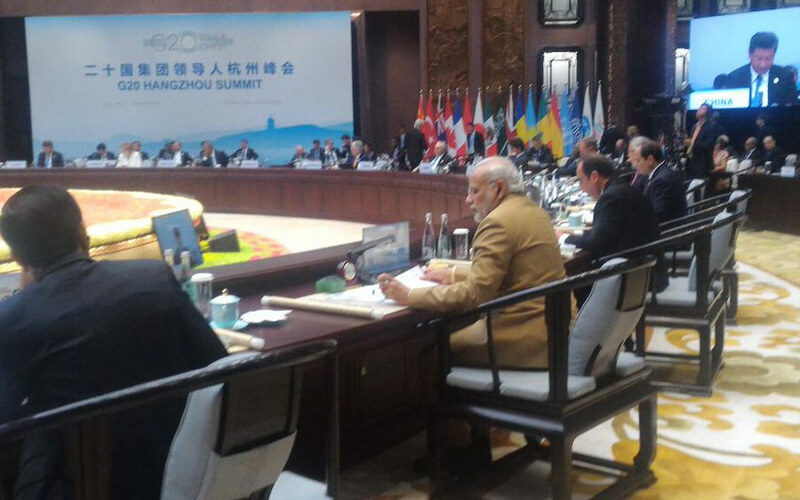 G20 Summit, Modi, Sep 5: The closing ceremony of G20 Summit held at Hangzhou, China. India PM Narendra Modi attended that along with the highlights and causes of world economy issues. Foremost challenges are Climate Change where Paris Agreement showed the way forward. Focus shouldn’t just be on early ratification, but full success. Have to safeguard climate Justice. Requires affordable financing & environmentally sound tech. For developing countries. Must uphold principles of equity & CBDR and curb reckless consumption & encourage lifestyles in harmony with nature. Single nation in South Asia is spreading agents of terror in our region. Urge international community to act in unity & respond against terrorism. Global &Public health security an imp issue.Need global partnership in sharing new vaccines & access to affordable drugs for developing world. PM concludes final session intervention by thanking President Xi Jinping for the hospitality over the last two days. PM Modi closed his final session by thanking Chinese President Xi Jinping for the last two days hospitality.